Central Hawke’s Bay cyclist and Olympic bronze medallist Wesley Gough won the local sports awards last night – but the limelight was stolen by two-time gold medallist Sarah Ulmer. Sarah was a relaxed and very enjoyable guest speaker – although she could have been upstaged by the goosebumps on everyone’s arms after watching her gold medal-winning performances on the big screen. She was informal, chatty and honest and not in the least bit arrogant and over polished (or unpolished actually). 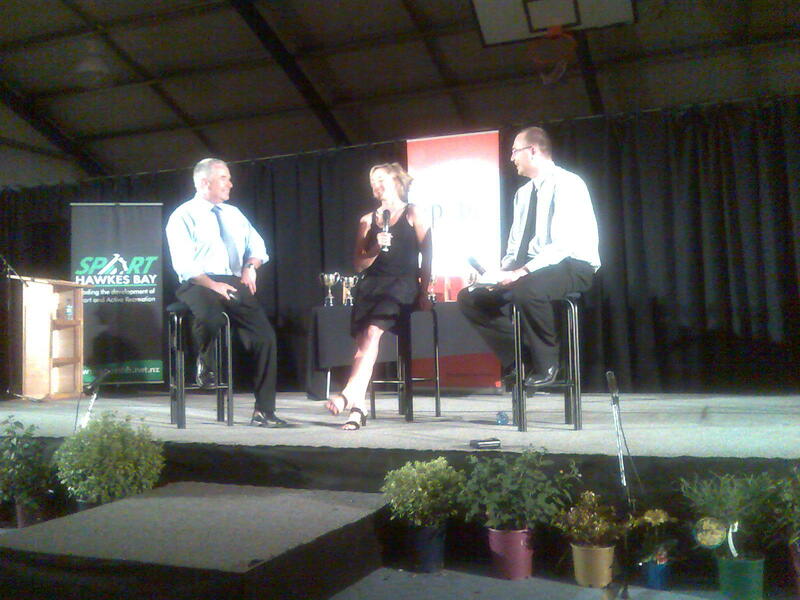 Sarah also seemed to thrive in the ‘sports cafe’ type setting that has become the norm at the CHB sports awards. Sarah complained of being 10kg heavier now that when she was competing – she better watch out – four of the last guest speakers at these awards – our own Norm Hewitt, Queen B and ironman Cory Hutchings – have gone on to strut their stuff in Dancing with the Stars! One message that was easily taken home was her answer to a question from the local swimming coach calling for three words she would use to describe the path to becoming a champion – they were passion, mongrel (for want of her trying to find a more appropriate description) and risk – at some point you have to put everything on the line for that ultimate result. So many NZ representatives in everything from regular sports like netball, rugby, cricket, swimming and cycling through to trampolining (that group of youngsters won the teams event), highland dancing and orienteering. A wonderful night was had by all, thank you Sport Hawke’s Bay. It was the end of a great day actually. Having spent the morning doing mundane housework tasks, Thomas went off to golf and the children and I went to the CHB Show. We started with a picnic under the trees, prepared by Sarah, followed by a relaxed but hot wander around the show. 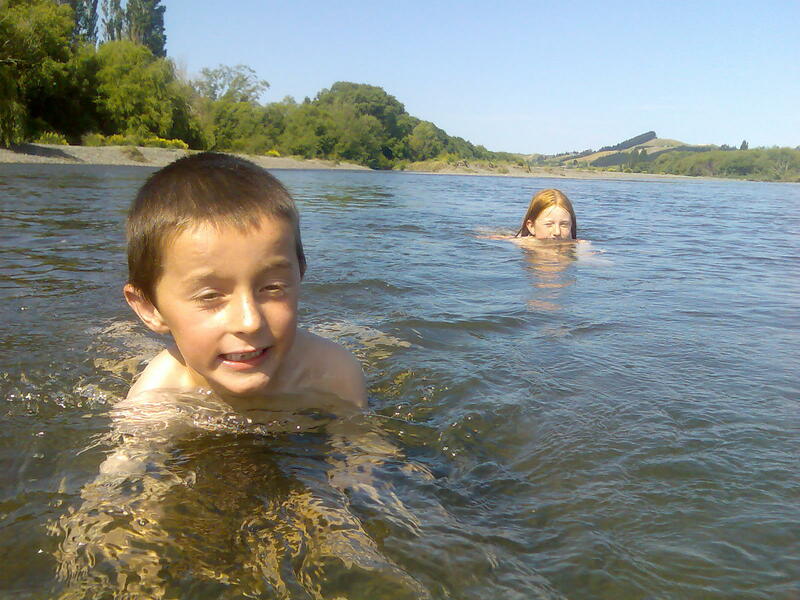 Then I surprised them with chocolate and strawberries under the trees again and then we went swimming in the crystal clear waters of the Tukituki.